Though it might be tempting for your newly formed amateur dramatics group to want to perform any type of theatre, it’s best to resist this temptation to be all things to all people, at least initially. Having a niche in terms of what type of theatre your troupe performs will make it easier for you to attract onstage and offstage members, find a venue and tackle your first performances. Do not become dismayed or feel confined, however, as there is a plethora of theatre types from which to choose. Additionally, remember that most theatre companies eventually broaden their horizons to include other types of theatre after they have established their presences with one or two. 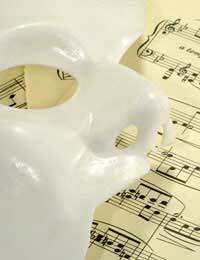 To assist you in getting started, we’ve included a few types of theatre groups. Know that this listing is in no way all-encompassing; truly, the point isn’t to “pigeonhole” or typecast your amateur dramatics group, but to give you a focused beginning. Audiences love to laugh, which is why so many theatre groups include comedies as part of their repertoires. Comedies can be light and airy and leave listeners with a good feeling, or they can be tongue-in-cheek or dark (as in “black” humour). They can have classical backgrounds or a more contemporary feel or setting. And they can be for all ages or for adults only. If you choose this type of theatre for your amateur dramatics society, be forewarned—comedy is tougher than it appears. Good comedians can be much more difficult to find than decent dramatic actors. Thus, you’ll need good directors (as well as actors) to pull off comedies. As with comedies, dramas come in differing shapes and sizes. Your dramatics organisation might decide to perform classical pieces from well-respected authors such as Ibsen or Chekov; on the other hand, your troupe may wish to seek out little-known modern playwrights who write clever, pointed dramatic one act plays. Dramas will allow your team of thespians to stretch their abilities, but understand that not all audiences will pay to watch tragedies or experience a character’s sadness, especially when the dramas star amateur actors. Consequently, your group will need to prepare itself to wow only a few viewers for the first couple of performances. Once you establish yourselves as a dramatic troupe of exceptional performers, you’re likely to see a notable increase in ticket sales. Kid's plays come in two varieties—those performed by adults for kid viewing, and those performed entirely by children for children and adult viewing. Not surprisingly, both types have pros and cons. Plays that are geared for child audiences can be incredibly fun for mature actors and directors, and costume designers will be able to explore their creativity in exciting ways. But beware—younger audiences are known for being fickle! Therefore, whatever plays you choose must be selected with great care. On the other hand, performances acted by children (with maybe an adult or two, if needed) are a bit different, but no less of a challenge. Depending upon the age of the kids, you’ll need to be very cautious in terms of the length of the play as well as the subject matter. Remember that the younger your thespians, the more complex your role as a dramatics society will be. Not only will your charges be in need of theatrical direction, they may also require your “babysitting”, pseudo-parenting and educational skills, too. What’s the best aspect of classic theatre? It never goes out of style! Shakespeare, Moliere, and Brecht will always have a place in the hearts of those who love them. With that being said, not every person or actor wants to explore the classics; as with dramas, audience numbers and auditioning applicants may be thin, at least at first. But if you’re willing to be patient and diligent, your reputation as a classical theatre troupe could land you a prestigious spot in your community. Best of all, you’ll be reviving some classics (comedies and dramas alike) that deserve to have the figurative dust brushed from their covers. If your amateur dramatics society believes strongly in becoming a venue for new literary artists to showcase their works, why not consider a stab at contemporary theatre as your niche market? Yes, you’ll often feel as though you’re playing a game of “Will this work? Let’s find out…”, but to be a part of something that’s innovative and novel may be worth the uncertainty. And you’ll probably find yourself inundated with scripts from new playwrights practically dying for the opportunity to see how their works (which may or may not be published) translate to the stage. Finally, we cannot overlook musical theatre, which includes the areas of dance theatre and opera. Music and dance are true art forms in and unto themselves; hence, they must be treated with a great deal of respect. If you’re going to delve into this arena, commit yourself to having at least two, preferably more, persons in charge of your dramatics group who are highly experienced in music. You’ll also need to seek out exceptional musicians, especially a pianist who can sight-read for audition and rehearsal purposes. Otherwise, your musicals or recitals could take on a tacky, uncomfortable and/or sloppy tone. An opera, full-scale musical, physical performance piece, or musical review that is conducted poorly is an insult to the audience and the performers, so be prepared to spend a good amount of time auditioning and rehearsing for maximum results.